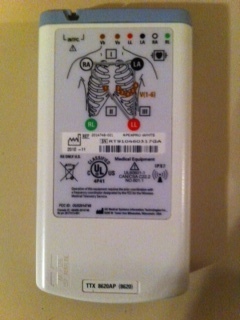 Many patients who are admitted to a hospital, often wear a heart monitor, otherwise known as telemetry. This device is exactly what it sounds like, a device that constantly monitors a person's heart rhythm. 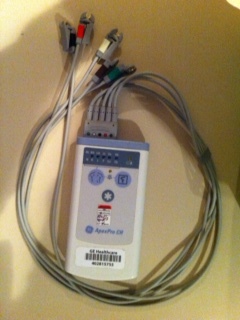 Patients will often wear a pulse oximeter to go along with the monitor. There are a few different kinds of these monitors but the one I am most familiar with is a box that is about the size of a cell phone. 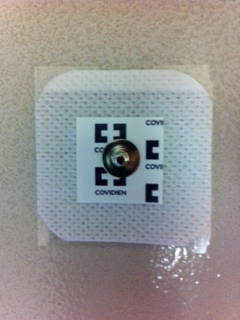 This box fits nicely inside the pocket of the patient's hospital gown or caregiver scrubs if they are wearing one. 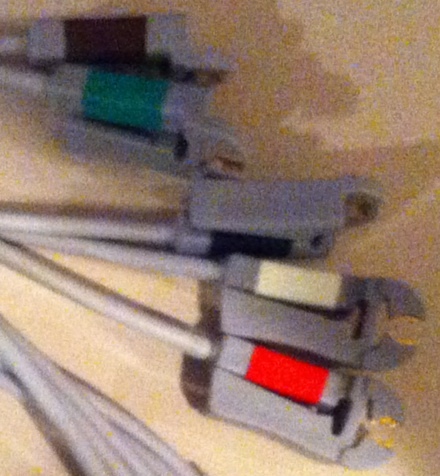 There are five wires, otherwise known as leads, that attach to the box. They connect to the person's body with pads, otherwise known as electrodes. Other types of monitors include ones that have only three leads while there are others still that only have two leads. Ones with two are commonly used with an electrocardiogram, otherwise known as an EKG or ECG for short. Another kind of monitor connects directly to the monitor screen. This is called being hardwired. This type is best suited for patients who are on bedrest or who are in critical care since they won't be able to ambulate without disconnecting it. The heart monitor itself is read off of a monitor screen that displays the heart rhythm in real time. There are ones that are connected to a wall as well as portable ones if a patient needs to be moved or transferred somewhere. In a hospital setting, there will usually be a screen in the patient's room along with a screen at the nurses station displaying all of the different patients on that unit. There may also be a monitor bank where all of the heart monitors in the entire hospital are displayed and monitored constantly in one room. The rhythm is usually green in color and is constantly updating. Unless the patient has an irregular heartbeat, you should be able to see a clear pattern if everything is reading properly. The placement of these wires and electrodes are very simple. Each wire has a different color which determines where the wire connects to the body. The placement doesn't have to be in an exact spot. It just needs to be in the general area in order to work properly. If the leads clip on, you can put the electrodes on first. However, if the leads snap on, you need to attach the leads to the electrodes before placing them on the skin. Otherwise you will have to push the leads onto the patient which requires enough pressure to cause discomfort. Remember that if you are connecting the leads onto someone other than yourself, your left and right will be the complete opposite of that person's left and right. If you connected everything correctly but are still having trouble getting a reading, view the troubleshooting tips below. An easy way to remember the order by color is this saying: For the top two, when people mention salt and pepper, they usually say it in that exact order. So going left to right, salt: white, and then pepper: black. Same for the bottom, people normally say lettuce and tomato in that exact order. So going left to right, lettuce: green, and then tomato: red. Another saying is this: White rhymes with right so put white on the right side of the patient. White clouds over green grass, which means white goes on top and green goes under it. For the other side, black smoke over red fire, which means black goes on top and red goes under it. I have heard some patients say that the electrodes irritate their skin. They will often get rashes or elderly patients with really thin and brittle skin can even get skin tears. If this happens, try a different kind of electrode. 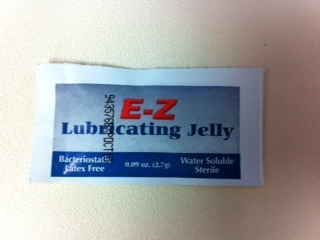 Some of them have a weaker or less irritating adhesive. 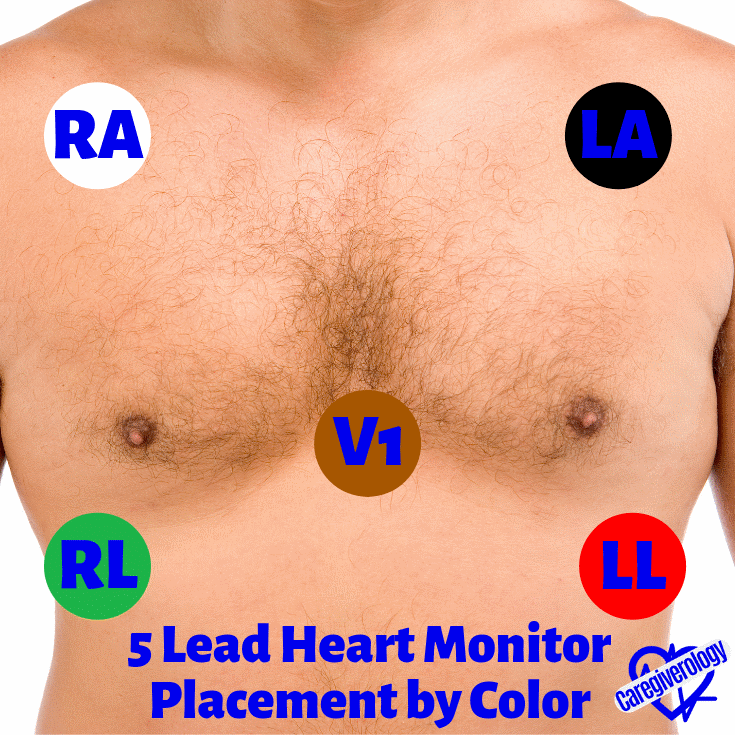 When it comes time to take off the heart monitor, be careful taking the electrodes off. Unless the patient has thin skin, the best way to take them off is really quickly, like a band-aid. Just be sure you tell them before you pull them off or it may catch them off guard. 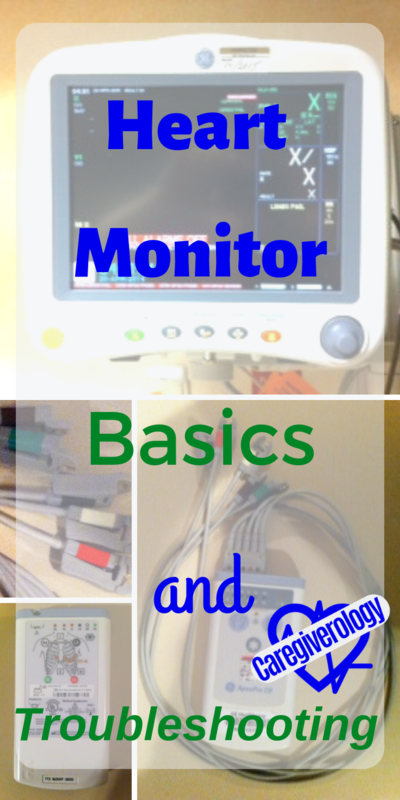 Here are a few heart monitor troubleshooting tricks I have learned while working in a hospital to get everything reading properly. Even if everything seems to be connected well, it will still sometimes not pick up correctly if at all. If this happens to you, try these tips. Are All of the Electrodes On? If the patient has had the monitor connected for awhile, there is a chance an electrode has begun to come off the skin or has come off completely. This is especially true with patients who move around a lot or ones who have some form of dementia. If the patient has a lot of body hair, this easily causes them to slip off. 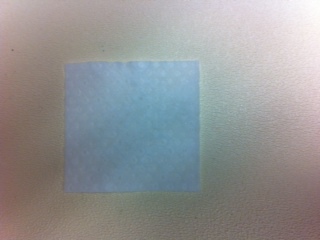 To fix this, shave a patch of skin large enough for the electrode to attach to their bare skin with no hair underneath. If the monitor still doesn't pick up, it may be possible that the electrodes need a better connection to the skin. To do this, simply get some lubricating jelly and place a drop about the size of a pencil eraser in the middle of the sticky side of the electrode right before you place it onto the skin. I normally do this to the one that the green lead attaches to first because nine times out of ten, that is the one that isn't getting a strong enough connection. If that one proves to be unsuccessful, do this to the rest of them until you get a proper connection. 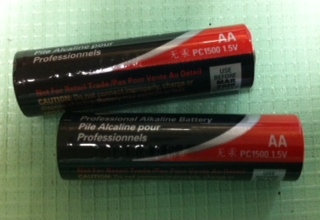 You should check and make sure the batteries inside the box are still good. The monitor screen is supposed to give a warning when batteries are running low but when in doubt, replace them and see what happens. You should also make sure the battery cover is completely closed. All it takes is a very slight gap to cause the monitor to cut in and out or not pick up at all. Another heart monitor troubleshooting trick is to unplug the wires from the box itself and wipe the outlet that the wires plug into with an alcohol swab. You should also do this to the prongs on the wires that plug into the box. Plug it back in and see if it starts working. Don't worry about getting shocked or breaking the monitor. I have done this more times than I can count and have never gotten even the slightest shock or fried a monitor. If none of these heart monitor troubleshooting tactics work and the room and box number have been confirmed with the monitor bank, we will often just switch out the box with another one. For some reason, some boxes work better in some rooms than others. 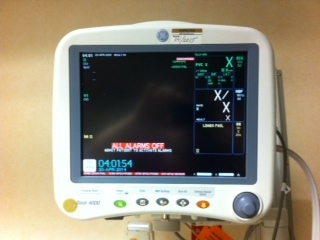 For the strongest connection, have the patient hardwired to the monitor screen instead of having the wireless box. The only downfall to this is that the patient will have to unplug the heart monitor if they need to ambulate.